An amazing mixed berry e liquid which is seriously Juicy and mouth wateringly delicious combining strawberries and tangy raspberries. 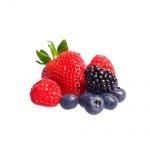 You get a mixture of these beautiful flavours with our sumptuous Mixed Berry E Liquid from Fresh Mist. It will fill your mouth with heavenly sweetness and fruity flavours as you inhale, plus the vapour smells absolutely gorgeous.